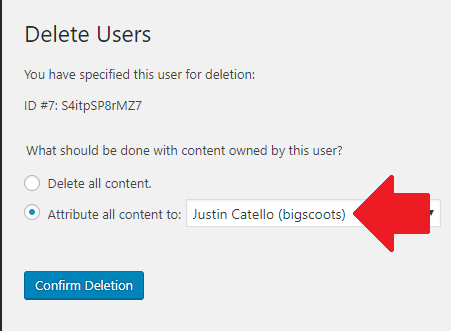 In this article well walk you through the quick and easy steps of removing a user from WordPress. I'm a little disappointed at my brother in the lack of posts so well be using him in our example today. Sorry, James! 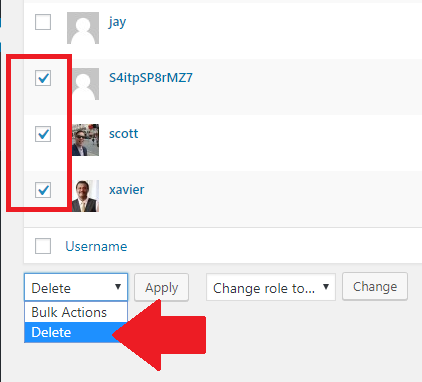 Start out by logging into WordPress using a username that has admin access. 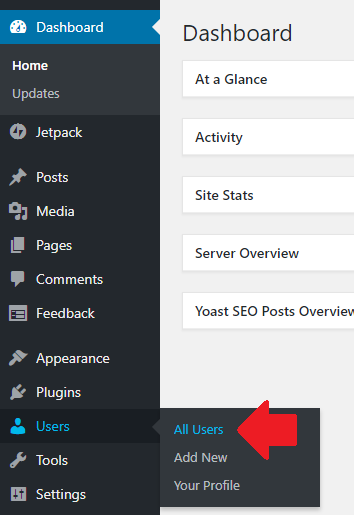 Once logged in, well go ahead and hover over the Users menu on the left-hand side and click "All Users". 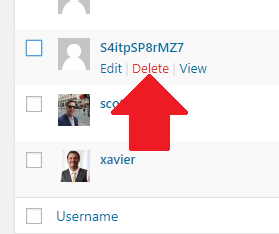 If you want to delete multiple users, you can place a checkmark next to each one, and using the drop-down at the bottom, select Delete and lastly click Apply. Now any posts that James has done, will now be reassigned and I will be the new author. Go delete some users! only if they deserve it.